Long grass and piles of wood are danger zones for summer fires and snakes alike.Hume and Whittlesea councils are urging residents to clear around their homes as a precaution against both dangers, with highly venomous snakes quite common on urban outskirts and even well into the northern suburbs, especially near waterways. Northern suburbs snake-catcher Jason Donnelly, of Ace Snake Removal, is one of a small number of experts recommended by councils to safely remove reptiles discovered on private and public land. "The most common areas you find snakes are under concrete slabs or big boulders, and under piles of wood and rubble," Mr Donnelly said. "Occasionally, you find them in compost bins as well." He said most snakes were just passing through, but if residents saw a snake in the same place more than once - and the best time to observe this is early morning once the sun is up - his advice was to call a snake-catcher or contact the Department of Environment and Primary Industries to deploy an expert ranger to remove it. "Snakes very rarely stand their ground unless you are trying to catch them," Mr Donnelly said. He said most snake bites happened when people were trying to kill the snake, so the best advice is to back away. Under the Wildlife Act 1975, it is illegal to kill snakes and other native animals without a permit. 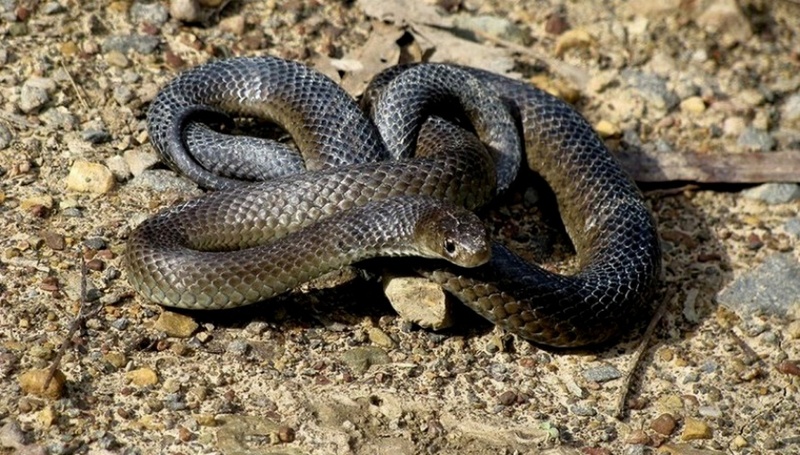 The most common snakes in Melbourne's north are among the country's most venomous and include tiger snakes, eastern browns, red-bellied black snakes and lowland copperheads.